Perhaps you’ve recently had an “Aha!” wine—the swirl, sniff, and sip that paused the spinning world. Maybe you’ve long ago fallen down the wine rabbit hole, and then started following the wine event calendars at your local wine shops. Or maybe you have ten years of wine geekery under your belt, and have participated in a monthly wine tasting group for a few years, where you endeavor to explore a specific varietal or region each gathering. Regardless of your experience level, take another step. Curiosity desires knowledge and experience. Below you’ll find a collection of next steps, starting with the simple and moving toward the advanced. The sheer number of wine regions and styles overwhelms many new to wine. Now is the time to get your hands on one excellent wine book, ideally a thorough and approachable romp through the core regions and styles. Importantly, reading this solid primer provides enough information to make the next steps more comfortable and pleasurable. 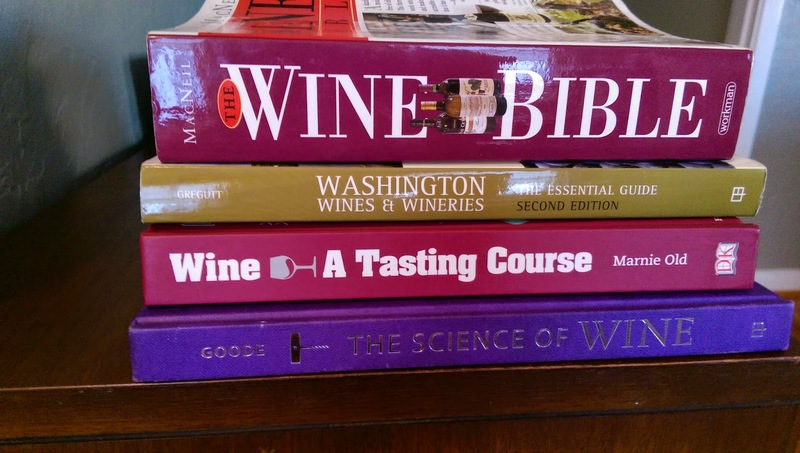 The Wine Bible by Karen MacNeil — Don’t let the title mislead. I find MacNeil’s writing creative and buoyant. Read all materials prefacing the wine regions, and then read a handful of core regions to whet your appetite. Move on to the next step before finishing the book. Start seeking opportunities to taste 3-8 wines at a time. Tasting wines in isolation provides little insight. The connective and comparative judgments fall short when three weeks have passed between your two most recent glasses of Loire Sauvignon Blanc. Subscribe to a handful of local specialty wine shops’ newsletters. Most of them, at least the ones worth knowing, hold tastings either weekly or monthly. Whether it’s a flight of wines from around the world, or a comparative tasting of five Washington Syrahs, the experience will elevate your understanding of and pleasure with wine. I can hear the moans. “Really?” Yes, really. Sitting down at a table with other wine curious individuals and a reputable teacher will take your understanding and appreciation to new heights. Depending upon the course provider, the costs need not be prohibitive. Wine and Spirits Education Trust (WSET) — provides 4 levels of study. Level 2 is a great place to start for anybody who has already endeavored in steps one and two above. Research “wine schools” or “wine classes” in your area. Many cities have unique institutions serving their communities, some of which partner with broader institutions like WSET. This step can arguably be placed anywhere in the process. However, I have found most who participate in wine tasting groups have at least participated in two of the three steps above, if not all. Having a grounding in winemaking, regions, and styles greatly enhances a groups ability to dig in to thoughtfully procured flights. Plus, where else do you meet a group of 8+ wine lovers who want to gather weekly or monthly to focus on the wines at hand? Take another step forward. The beguiling bottles that await will not disappoint. It is often a rabbit hole experience, and a wholly more pleasurable one than what we’ve started experiencing since January 20th. This entry was posted in Articles, Books, Education on January 26, 2017 by Matt Wieland.